Baby swaddle blanket, adjustable scarf bib with organic bamboo terry on reverse side, and burp cloth with organic bamboo terry, three piece new baby gift set. Little white flowers on lavender, mauve ish background print from Little Island Company. Swaddle blanket (36X36) is perfect for wrapping baby snugly ~ lightweight and soft, softer with washing. 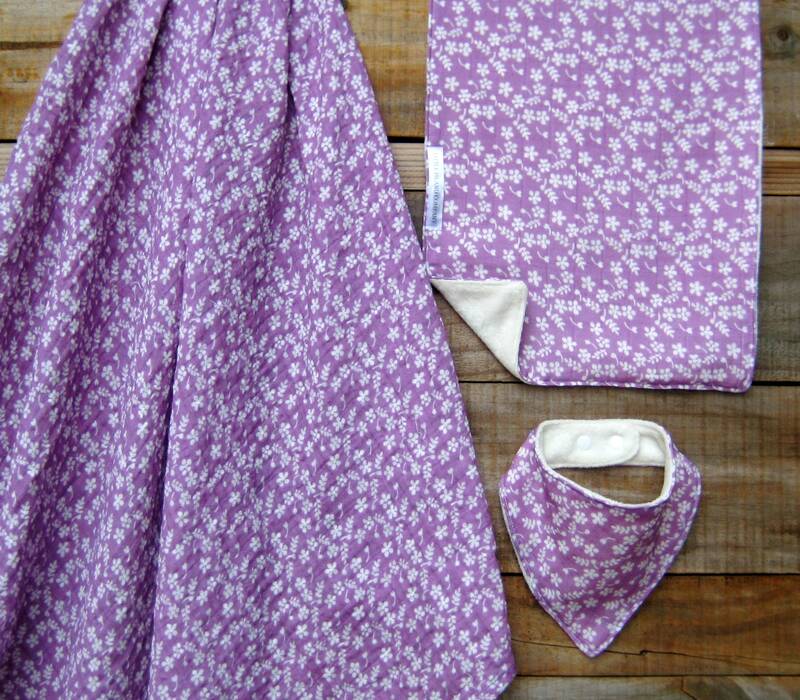 Burp cloth is appx 18X 10, scarf bib is adjustable and will fit newborns on up.